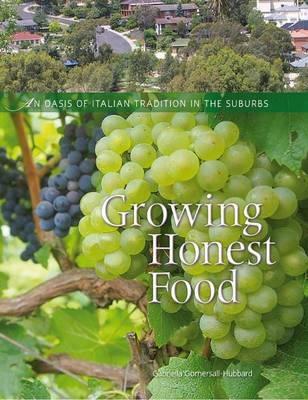 A barren block of land in the Australian suburbs has, over a period of 30 years, been transformed by the Sicilianos' passion, daring, perseverance and hard work into a slice of the Calabrian countryside - a lush and wonderful oasis. At a mere 1.2 ha, Rose Creek Estate is probably the smallest vineyard in the nation and, at less the 17 kilometres from the city centre, certainly the most urban. Yet it is astounding just how productive this small piece of land in a quiet residential corner of Melbourne is. Its 3200 vines and its orchard, vegetable garden and nearly 400 olive trees produce thousands of bottles of award winning wine and olive oil, hundreds of jars of passata and preserved olives, and lots of other produce, year after year. Cherished family and regional traditions, steeped in an ancient culture, remain a large part of this couple’s lives, guiding them in their efforts to create their own piece of paradise. This book celebrates and records a way of life that’s been slowly disappearing. Month by month, it details the changing seasons and the activities that take place in the vineyard and olive grove, in the cellar (where wine and olive oil are produced), and in the kitchen. Words like ‘Slow’, ‘Real’ and ‘Honest’ describe the food people say they want, in contrast to what they feel they normally get. That is why for many people growing your own food has become important again. Although for from their minds when they started way back in the 80’s, the Sicilianos' enterprise is the embodiment of these ideas and living proof that such pursuits can build both a profitable business and a healthy and intensely satisfying way of life.